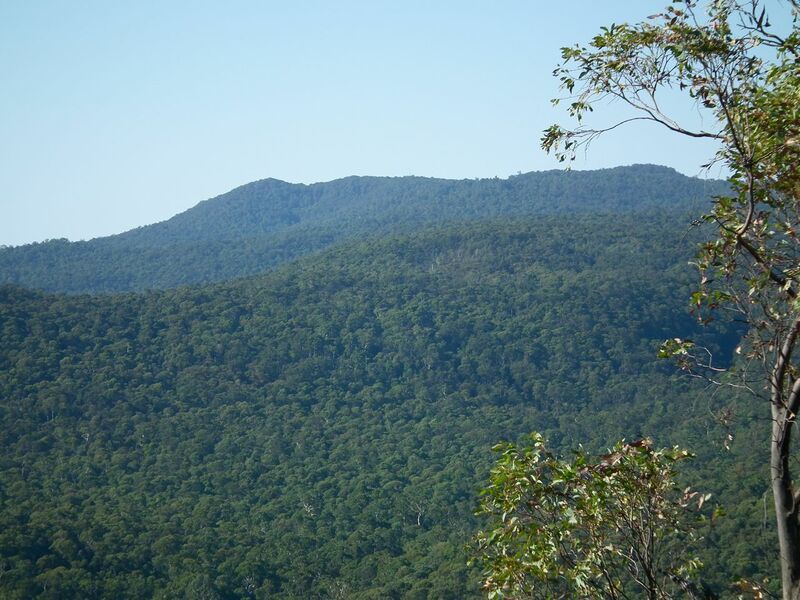 Mt Strathbogie (left) and Golden Mount, from Rocky Ned Lookout. Something strange is happening – there’s stirring and disquiet in the sleepy hollow of Strathbogie. Folk are starting to cast their gaze to the East, up into the tall, mountain forests where few venture (locals, anyway). There are rumors that these forests are facing death by a thousand cuts, literally. 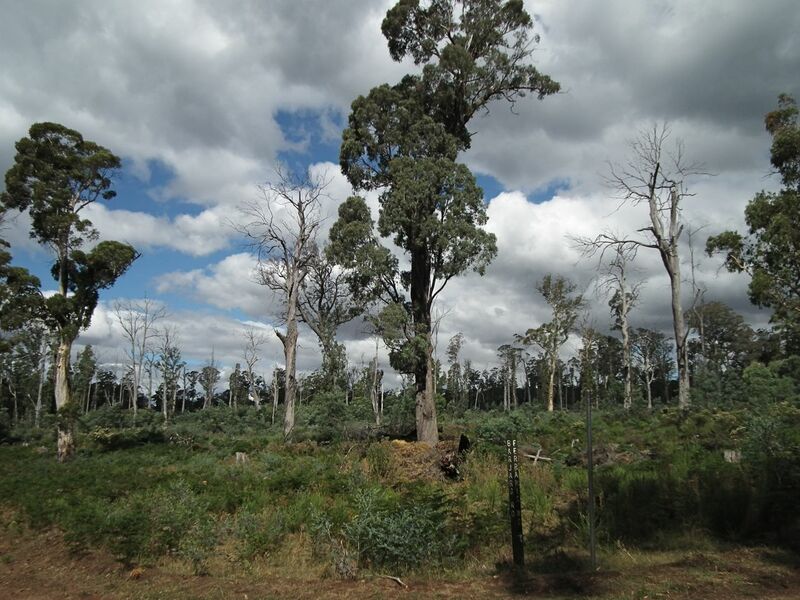 It appears that heavy-handed, industrial logging is moving in big-time, if VicForests has its way. These forests have been cut for several generations – selectively logged. As late as the 1980’s logging was carried out by a small team of men with a dozer and chainsaws. They’d cut single trees or small stands and make sure not to damage the next ‘crop’ of trees, so that they could come back five or ten years later and repeat the process. The cut timber was then supplied to a local sawmill that employed dozens of men. The relatively high market price of timber at the time made such small operations economical (even if no one got rich!). And the really big, gnarly, old forest giants? Well, they were no good as saw-logs and it was often easier, and safer, to just leave them alone. But now with 20 tonne machines, huge cash and capital investment by logging contractors and a wood-chip (pulp wood) monster to feed, the forest gets a raw deal – it’s open slather! And here’s what can happen. There was once a majestic forest here, not just a collection of mostly dead trees, but a healthy, productive, beautiful forest. Looking across coupe 411-504-0002 from cnr Barjarg Rd & Ferraris Rd. Unbeknown to the-powers-that-be, forests are complex systems made up of hundreds of thousands of different living things, from deep in the soil to high above the tallest tree, all contributing to the whole. And forests are resilient and pretty forgiving – think of how the forests burnt in Black Saturday are coming back! These forests had been providing local communities with saw-logs, employment, clean air and water and much enjoyment for the last 100 or so years (not to mention the thousands of years before that). So, what on earth befell the above forest, so that it now stands like a graveyard – testament to our greed and ignorance? Well, it wasn’t a bushfire, nor a tornado, no – just a couple of blokes, some massive machines and a good dose of greed and ignorance. That’s all it took to turn what was a beautiful and productive forest, into an ecological wasteland that is unlikely to produce any quality timber until our grandchild are old! Apparently, this is called sustainable forest management. Our journey along this campaign path has led to much revelation, despair, anger, insight and growth. Read on.